The summer season coming to an end doesn’t have to be a disappointment for RVers. Instead of yearning for what has passed, we encourage you to discover incredible fall foliage across the U.S. this autumn. Our top 10 spots to see the leaves change in 2018 range from California to Tennessee and Upstate New York. 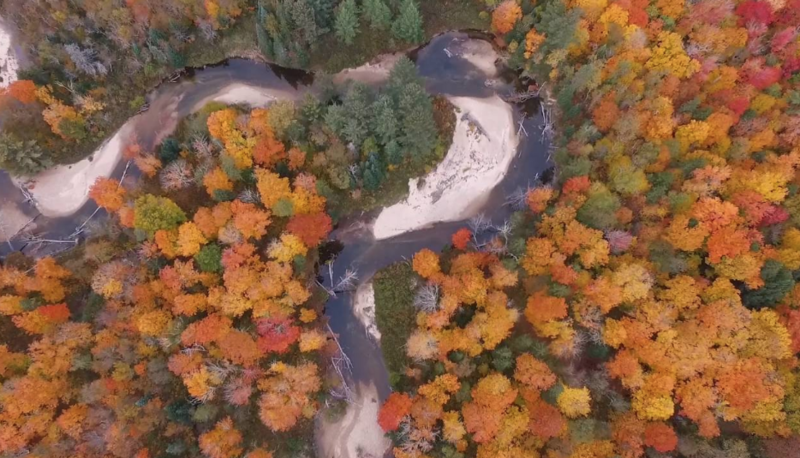 Get your camera’s ready, these vistas are postcard perfect. Ulysses is renowned for its natural resources and vibrant arts community. Nestled in the heart of the Finger Lakes of New York State, the city includes numerous historic hamlets. 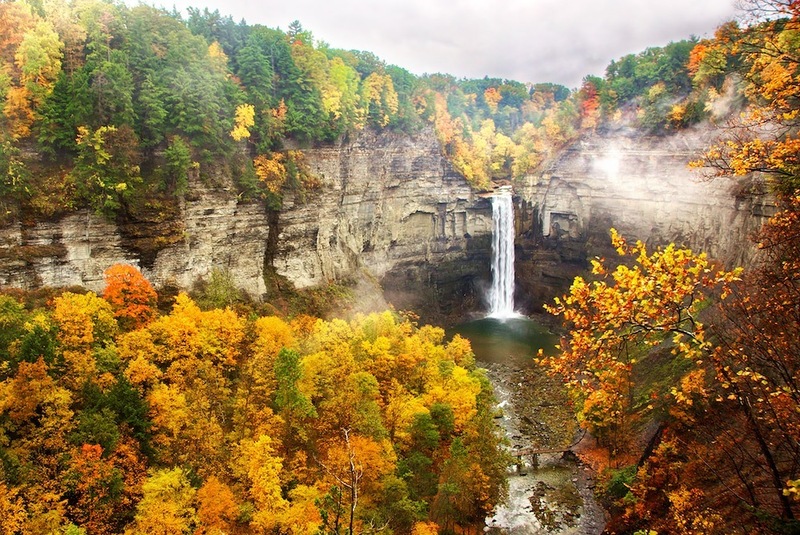 The short drive from Ithaca (home of the best natural swimming hole we’ve ever experienced), Buttermilk Falls State Park is scenic and ideal for catching the changing leaves this fall. Bishop sits at an elevation of 4,100 feet. A few miles in every direction you’ll see towering peaks, feet making it a tiny city with an enormous backyard to the spectacular Eastern Sierra’s. Head into Inyo Country and hike Lone Pike Lake Trial to hop on the John Muir Trial or stay put in Bishop and check out the town and famous Great Basin Bakery. If you’re spending time with your family in the south this fall, Myrtle Beach comes highly recommended. In September, the city hosts local events ranging from Dog Days Blues and Jazz Fest to their famous Aynor Harvest Hoe-Down Festival. Book your stay at Willow Tree RV Resort. It’s minutes from the beach and offers updated amenities including free Wi-Fi, movies and activities. 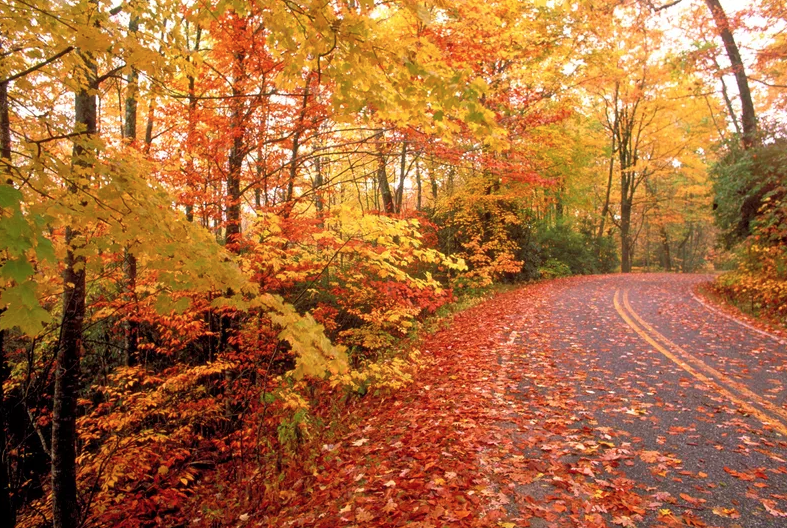 Do not miss hiking or biking the Road to Nowhere this fall. 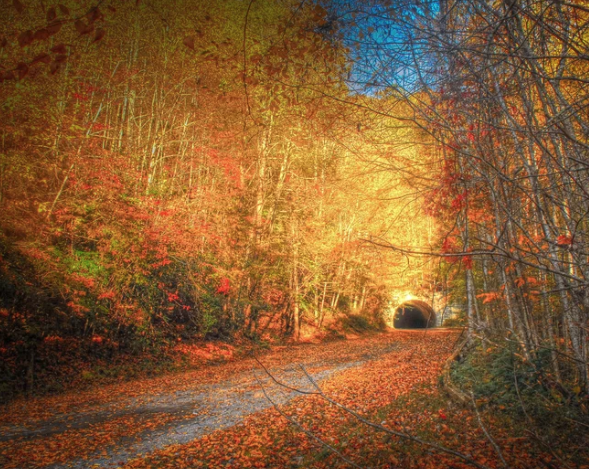 The historic unfinished road takes visitors eight miles into the Great Smoky Mountains National Park to the mouth of a tunnel (which you then walk through to get back to the parking lot). 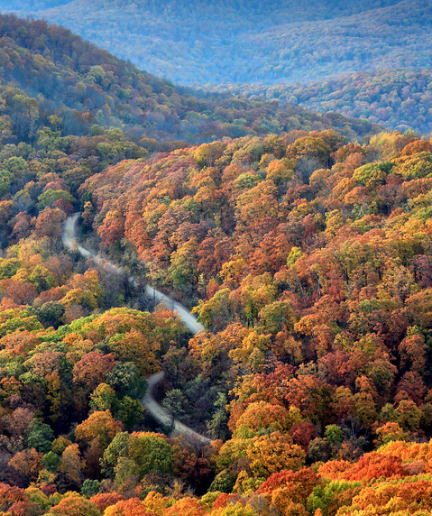 Then enjoy a scenic drive through the Great Smoky National Park,the most iconic drive in the south. Renowned for its plant and animal diversity, this National Park features stunning vistas and hikes unlike anywhere else in the U.S.
For those of you seeking adventure this fall, we suggest making your way to Maine. 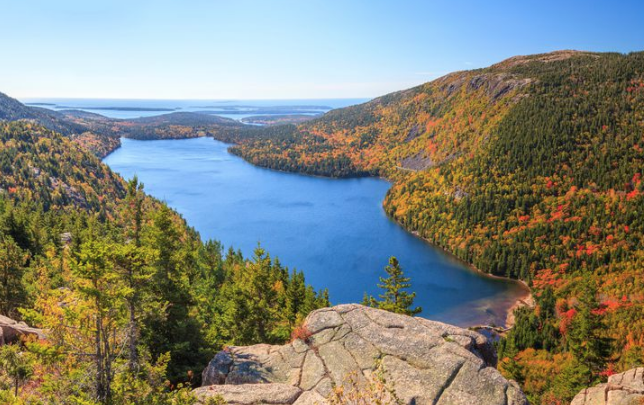 Southwest of Bar Harbor is Acadia National Park, known for its age, (it is the oldest designated National Park east of the Mississippi River) unparalleled hikes, views and outdoor activities. Rent a kayak, roam a coastal trail, even plunge into the Atlantic if you’re brave enough. Rugged beauty awaits you in the smallest geologic area in Kansas, the Ozark Plateau. 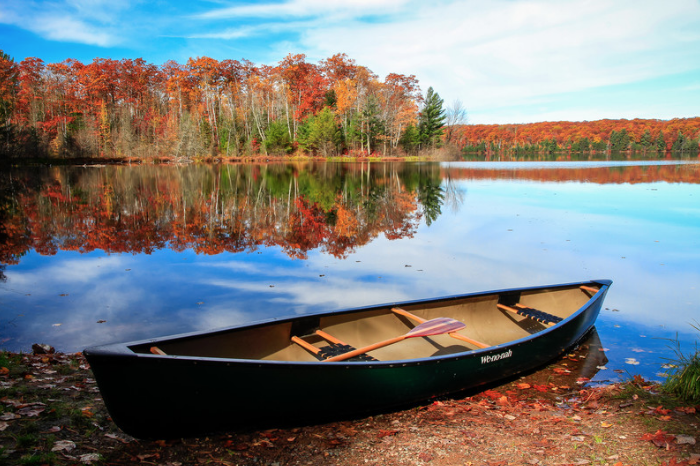 Enjoy timeless activities like trout fishing and canoeing on American’s First National River or check out the newly inspired zip-lining trails and world-class golf courses. Come check out the largest body of fresh water on Earth. Lake Superior is 160 miles wide, 350 miles long and has a surface area of a stunning 31,000+ square miles. Enjoy the 27 feet of visibility at Pictured Rocks and spend the day skipping rocks on the glass like lake. Home to hawks, loons, owls and woodpeckers, the lake is also ideal for birdwatchers. Long known as The Land of Enchantment, it’s fitting that this scenic 83-mile byway is outfitted with mountains, valleys, mesa’s and a national forest. Enchanted Circle Drive is right outside of Taos and is the ideal route for RVer’s headed south who are looking to turn back to nature and enjoy the ultimate road trip views from their motorhome. 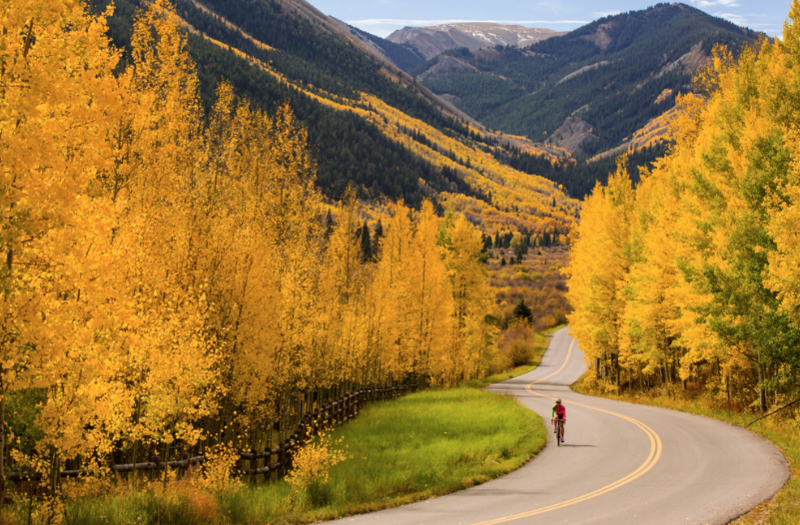 Aspen in autumn is pure magic. 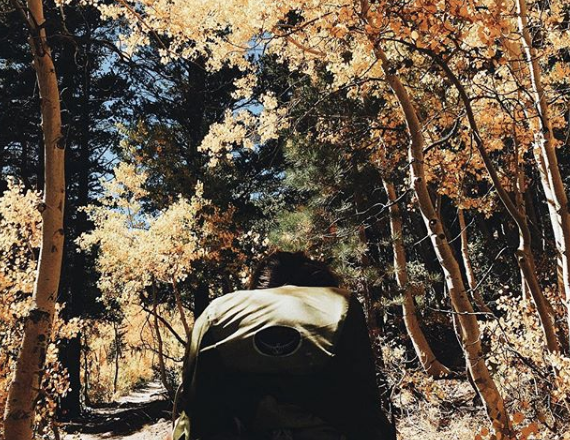 The cozy temperatures, sunshine, crystal blue skies and jaw-dropping golden leaves will make you never want to leave. For you avid hikers, we suggest you check out Cathedral Lake for a first hand view of the leave changes. 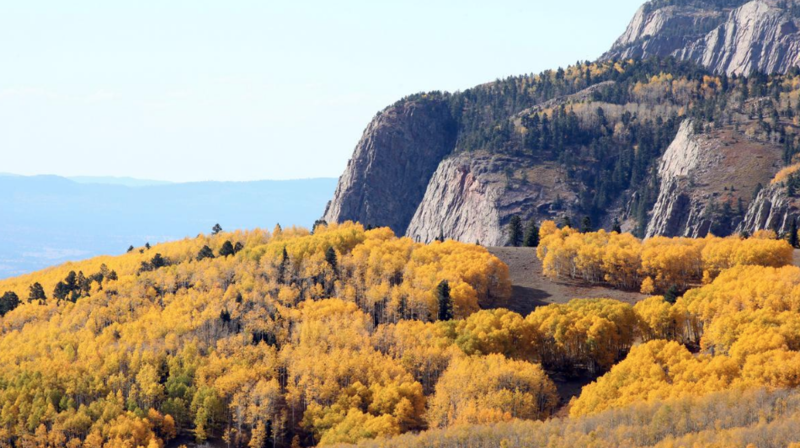 If you want to opt to see the colors from your RV, take a scenic drive on Maroon Creek Road. Portsmouth is a quaint New England city that sits on the mouth of the Piscataqua River and is known as the nation’s third-oldest city. This is an ideal spot for those interested in history as the city is riddled with museums. Strawbery Banke, USS Albacore and Discover Portsmouth (a walking tour) are all highly recommended for families and those who love to learn local history. In the afternoon, hop on the Inland River & Fall Foliage Cruise to see the leaves change along the beautiful tidal estuary. Not quite ready for fall? Take a look at our list of the Top 10 Spots to Send an Endless Summer in Your RV. 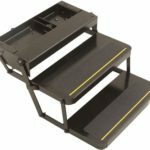 Hey Buddy!, I found this information for you: "Top 10 Spots To Spend Fall 2018 in Your RV". 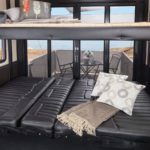 Here is the website link: https://experiencelife.lamesarv.com/2018/08/top-10-spots-to-spend-fall-2018-in-your-rv/. Thank you.